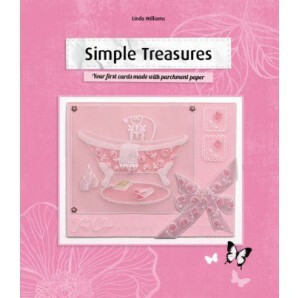 Simple treasures is Pergamano master teacher Linda Williams fourth book. With this book you can make your first projects with parchment paper. The projects are all simple and classified into five levels of easiness. The projects are modern and appealing with tips and hints, given frequently to make you more confident with the basic techniques. 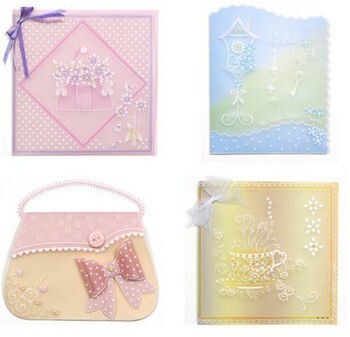 Parchment craft is not difficult, it just requires some practice!